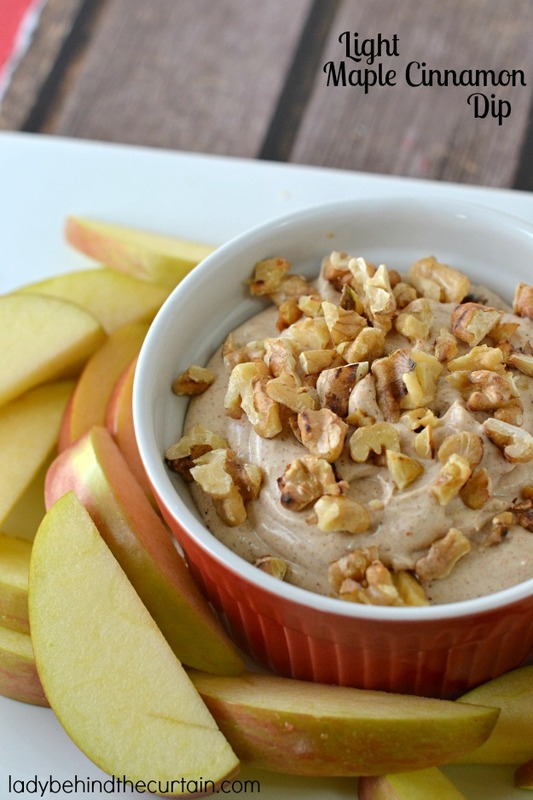 Light Maple Cinnamon Dip is an addictive dip that goes perfectly with apple slices. 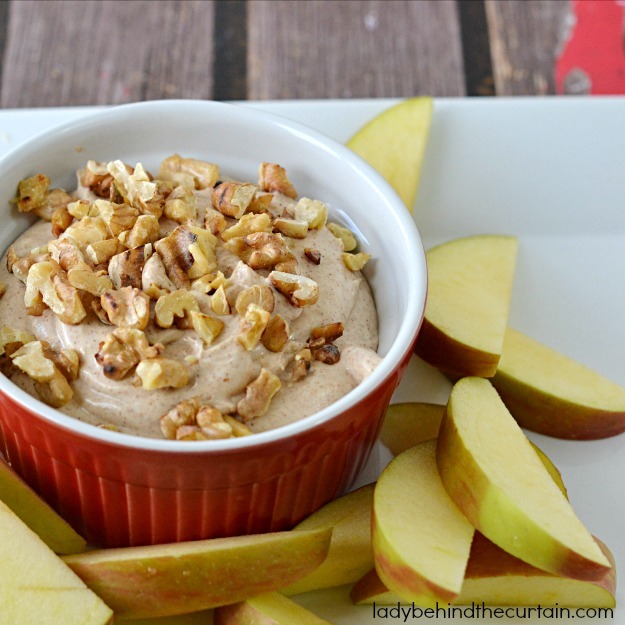 Make this dip on the weekend and take it to work for a mid morning snack all week! I made this recipe light by using reduced fat cream cheese and Splenda. You can reduce the calories even more by using maple flavoring instead of the maple syrup. If you choose to use the maple flavoring only use 1 teaspoon at a time. The flavoring is tons more potent than the syrup. Add cream cheese to a small bowl. Mix until creamy; add the Splenda, syrup and cinnamon. Spoon into a small bowl and top with walnuts. 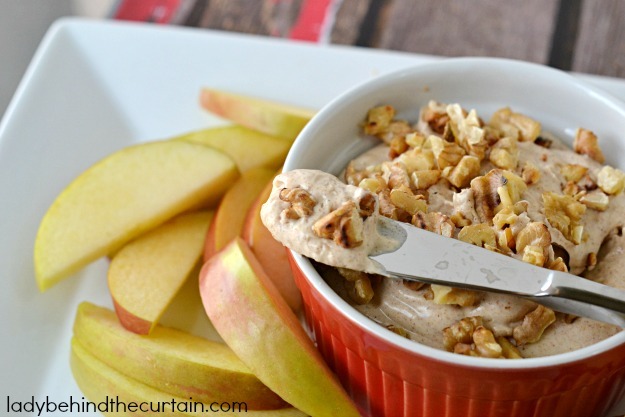 We love dip for our apples. This looks fantastic! I love dips like this and am officially obsessed with maple cinnamon! SO delicious, Sheryl!